Today we’ve released Clibu V2.01.00 with some nice new UI enhancements and improved article look and feel. The text and highlight color pickers have been updated with more colors along with a better choice of colors for each task. We’ve also made it quicker and easier to highlight text by splitting the buttons in two. Clicking on the left part of the button uses the current color on the selected text and clicking on the drop-down arrow lets you choose a color from the color picker. The updates to the Color picker are important and will enable us to use it in other areas, such as setting Tags tree item colors etc. When you have lots of Knowledge Bases open, arranging their Tabs in a specific order can be very useful. To accomplish this hold the mouse or your finger (on touch devices) down on the Tab menu icon and drag the Tab to the new location, then release it. You will also see that we’ve changed the styling of article text along with a change to the default font. 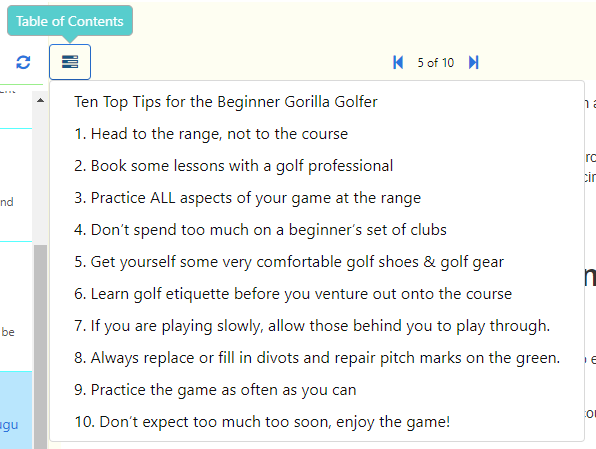 Headings styles are the main improvement, giving articles a much more modern look and feel. Keyboard Help is back. Press Shift+? or click on the Keyboard button on the icon sidebar. The indicator which displays when an article is loading has been updated to an animated bar, which is less intrusive and looks way better. An issue with Knowledge Base Sharing Permissions has been fixed enabling them to be changed again. The Clibu Web Clipper was updated in the last release, which we didn’t blog about at the time. As always we welcome and look forward to your feedback. In today’s Clibu V2.00.20 release you will see Articles display more quickly following an extensive rewrite of the code that handles article display. This affects both the Article and Articles List panels. Whenever you do a query, we now start by displaying the full Article first and then follow this by updating the Articles List. We also retrieve all the articles for the current page of ‘articles list results’ in one batch, whereas previously we retrieved them in sequence, one after the other. Going to any Page of results in the Articles List is quicker now. Prior to this release, the articles list could display an article from the wrong page, when you scrolled rapidly through a large number of articles, using Ctrl+Up/Dn Arrow. This has also been addressed in the rewrite. We continue to improve Clibu’s usability by minimizing changes to what you see and are working with, when articles are moved to or from Trash or to another Knowledge Base. These include articles moved by another user. In essence we try and maintain the current Articles List and Article views to reduce the impact on your workflow. We’ll be addressing this further in the case of adding articles, whether by you or another user, via the Web Clipper or Email, in a future release. The ‘On Premise’ version of Clibu has also been brought up to date and a new release is now available. Contact us though the Help & Support Center for details. Time got away from us, causing us to miss Blog posts for Clibu V2.00.15 and V2.00.16 which were both released back in March. Both were primarily fixes for various small issues. V2.00.17 and 2.00.18 were internal releases and here we are now with V2.00.19 with a longish list of updates. New in this release is the Article Tags menu, which opens when you click/tap on a Tag in an article, as shown here. This new menu speeds up workflow when working with tags. What’s important to note here is that all menu items except Add Tag to Article and Remove Article Tag operate on the selected tag component . So when you click on the Recipes tag, ‘Query’ will run a query on ‘Recipes’ and when you click on Middle Eastern, then Recipes is also selected and the query would be ‘Recipes/Middle Eastern’. 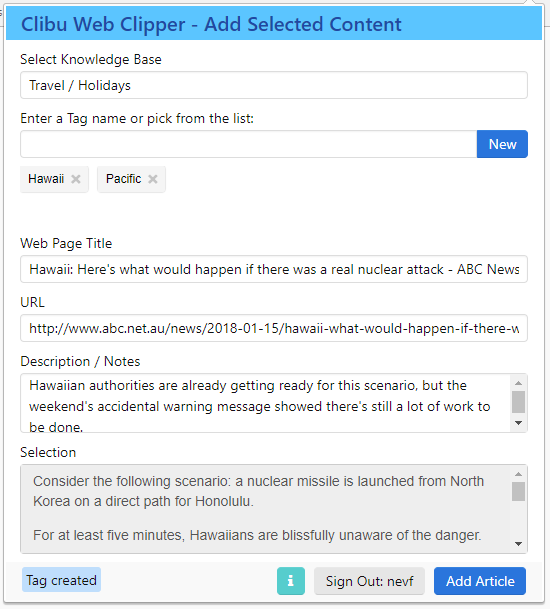 This is a first step in a range of enhancements to make using tags both quicker and easier. Until now using Knowledge Base Tabs could be a little frustrating, especially when the same KB was open in multiple Tabs. Because you had no idea what the actual content for a Tab was, you were forced to click each Tab until you found the one you wanted. In this release we’ve enhanced Tabs to include the beginning of the current Articles Title in each Tab, as shown here. This makes it so much easier to jump straight to the Tab you actually want. As part of this enhancement we’ve reduced the size of the tab text font and set a maximum tab width, so that more tabs are visible, reducing the need to scroll tabs. The Tab dropdown menu icon has also changed. Next we’ve updated the Articles List behaviour, so that whenever possible the current list remains unchanged. For example if you click/tap on a ‘See Also’ article link and the target article is in the articles list for the target Tab, the list will stay as is. Previously it would cleared and then include only the target article. By retaining the current context this further improves your workflow. As part of the Smartphone and Tablet updates we got a little to clever when we managed to get our article content selection toolbar to replace the a native Copy, Paste toolbar. In doing so we prevented Paste from being used. So in this release the native selection toolbar is displayed where you tap and the Clibu selection toolbar is displayed at the top right corner of the article, so that it can still be used. There is a substantial list of smaller updates, enhancements and bug fixes which you can see in the Release Notes. One I want to mention is that you should notice articles with images display faster in this release. In the release notes for V2.00.16 I mentioned that Clibu’s error reporting has had a major update. This has proven very helpful in helping us pinpoint and fix obscure problems as we continue to improve the overall quality of the Clibu code base. There is plenty more going on behind the scenes, however I’ll leave that for a future blog post. Note that you need to do a Browser Refresh to get this new version. We changed the Article Panel in this release so that it occupies the full height of the Browser window when it’s content doesn’t fill that space. SImilarly when you create a New Article it fills the full space instead of changing height as new lines of text are added or removed. These changes improve the overall look of articles and improve article editing. Another new feature in this release is Article Titles, which I know some have found lacking, especially our Surfulater users. When you create a new article a placeholder title is added as shown above. As soon as you start typing this will be overwritten by the title you enter. 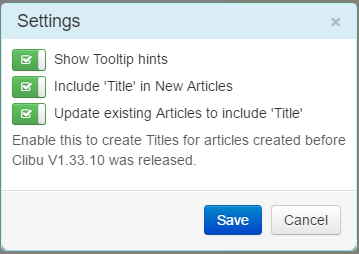 In addition to adding Titles to new articles, we’ve added the capability of creating titles for articles present prior to this Clibu release. This works by analyzing the content at the start of an article and then extracting what best makes sense and converting that into a Title. These two new features are entirely optional and enabled via. a new Settings dialog accessed from the User menu. They are turned on by default as seen here. Also note that the ‘Show Tooltip hints’ option has been moved from the User menu to this new Settings dialog. The Clibu Web Clipper has also been updated to change the server connection as per the Clibu changes mentioned above. We’ve also reworked the Clipper code that detects any instances of Clibu which are open in Browser Tabs and displays same when you Login, so you can use the Clipper with Clibu ‘On Premise’ etc. Chrome will update the Clibu Web Clipper Extension to the new version 1.0.4 automatically at some point. If you don’t want to wait then Uninstall and Reinstall it to get the latest version. An update to Clibu ‘On Premise’ will be released in due course. For Part 1 which covers Clibu v1.32.00 see this post. 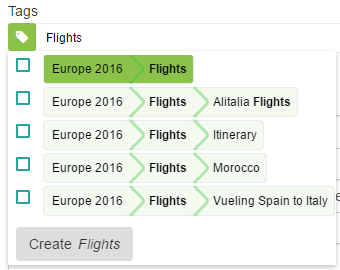 The Clibu Web Clipper has had a major update to add new functionality and bring it inline with Clibu. 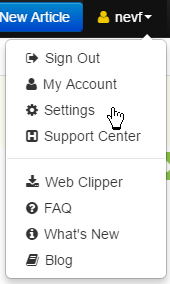 Whenever the Web Clipper needs to Login to a Clibu Server it looks to see if Clibu is open and logged in, in a Browser Tab in the same Web Browser as the Web Clipper. If so it displays this new dialog. From here you can select from the list of Clibu sessions or Enter your Login Credentials. This does two things. First it enables the Web Clipper to login without you having to enter any credentials and second it enables it to login into a Clibu Server other than the server at myclibu.com. More specifically this now enables users of Clibu ‘On Premise’ to use the Web Clipper with their Clibu Server. 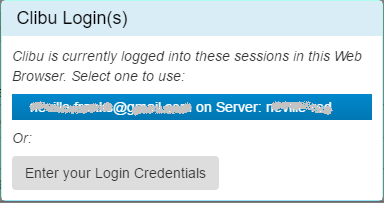 If Clibu isn’t open and logged in you are prompted to enter your login credentials. You can now enter the name of Knowledge Base you want to use with auto suggest simplifying selection. Knowledge Bases that are shared with you include an icon beside their name as shown above. Tags selection has been updated to the same user interface as in Clibu. The Web Clipper uses native OS Desktop Notifications to keep you informed. We’ve updated these notifications to include more detailed information. This example is the result of clicking ‘Add Article’ and includes the article title and the name of the Knowledge Base the article was added to. Similarly the associated notifications in Clibu itself have been updated. If you are new to the Clibu Web Clipper note that it can also be used from the Browser context menu. If no content is selected on the Web page you get ‘Bookmark’ items on the Clibu sub-menu. 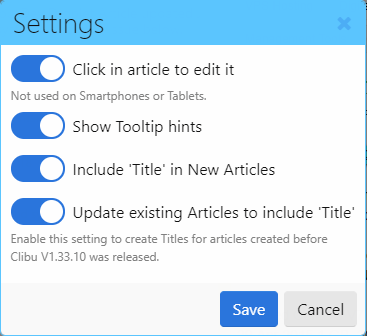 And when content is selected you can either create a New Clibu Article with it or append it to an existing article. For more information on the Web Clipper see this post and this one. In addition to the new features described above we’ve put considerable time and effort into developing a version of the Clibu Web Clipper for Mozilla Firefox and now have this working. I’ll write more about this in the next Blog post so stay tuned. That’s it for this release of the Clibu Web Clipper. Just like Clibu we’ll keep on making it even better and welcome your suggestions. Well it has clearly been too long between Blog posts, in fact way too long. The good news is, this in no way reflects on Clibu development or releases. In fact it is simply because we’ve been so busy on development that allocating time for blogging has sadly not happened. Our regular Clibu users will have seen we’ve had several releases since the last blog post and I’m sure are wondering what we’ve been up to, so let’s get to it. V1.32.0.0 sees a long list of enhancements and new features and the Clibu Web Clipper has had a major update with new functionality. Let’s start with Clibu itself. For a while now you’ve been asking for a quicker way to get back to seeing ‘All Articles’ once you’ve done a search. Our simple solution was to include an x button in search as shown here. We’ve also rearranged the Tags Filter button so it stays in the same place after adding a filter. We’re also continuing to think about ways to somehow combine Search and Tags Filtering into one unified widget. If you have any suggestions we’d love to hear them. Next we’ve added a ‘New Article’ button to the ‘Articles List’ header which brings it in line with the ‘New Tag’ and ‘New Knowledge Base’ buttons on their panels. ‘Code Inline’ lets you style selected inline text as in this example: and is available on the editor toolbar Styles menu: Also note ‘Code’ has been renamed to ‘Code Block’. In this example the cursor is in a Quote. We’ve also improved the styling used for Quotes. The new Horizontal Rule button adds, guess what, a horizontal rule. The behaviour of the indent and outdent toolbar buttons has changed to only work inside lists. This fixes issues with the previous implementation and brings their behaviour into line with best practice. The image above shows indent list disabled, even though we are inside a list. This is because the cursor is in the very first item in a list, which can’t be indented. For the final editor toolbar improvement, we’ve made the buttons a little bit narrower, so more fit on a row. Knowledge Base collaboration and sharing is the next area we’ve been working on. You can now Move articles to a Knowledge Base that is shared with you, as long as you have been granted full access by its owner. Similarly you can Merge a Knowledge Base of yours into a KB that is shared with you, given the appropriate permission. We’ve updated all Clibu Web components, updated several third party libraries, further improved overall performance, optimised code both in the Browser and on the Server and fixed a variety of colorful bugs. For complete details see the Release Notes. This post is long enough, so I’ll leave the Web Clipper enhancements to the next post. As always we look forward to and welcome your feedback.